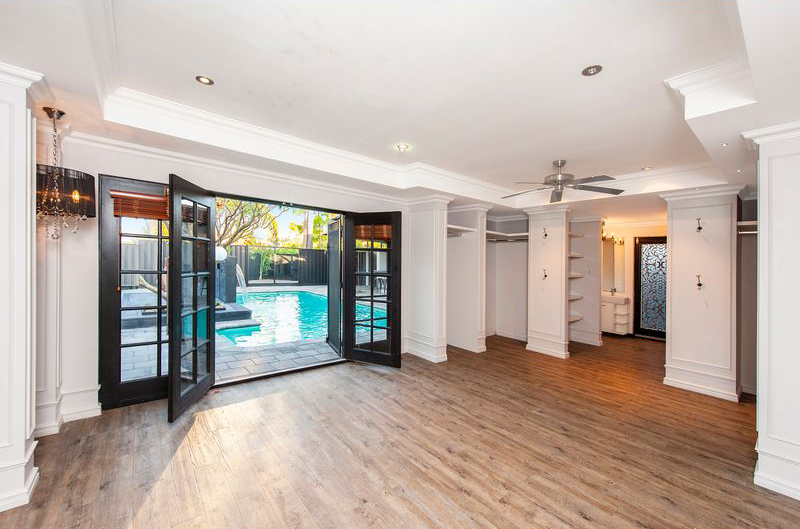 THIS Parkwood home needs to be seen to be believed. 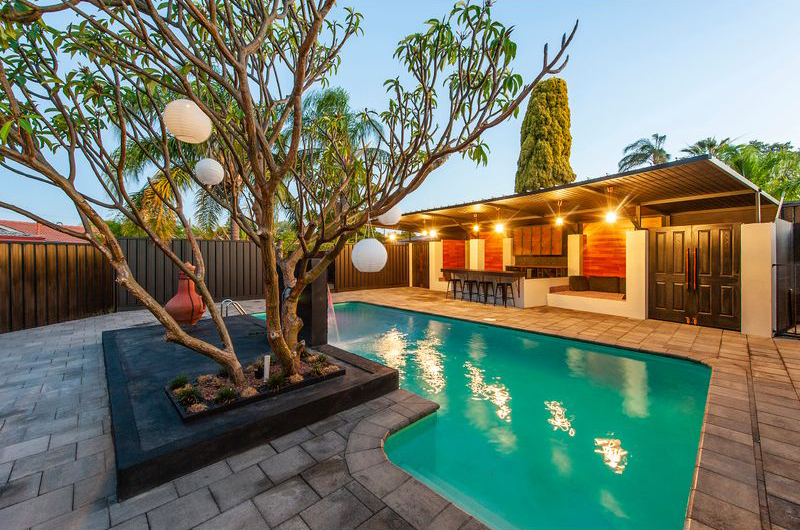 Exuding an ambience similar to that of a Balinese resort, there is a fabulous entertaining area complete with saltwater pool with fountain, timber decking, tropical frangipani trees, a large bar area and day beds. A concealed paved area behind the pool could be used as an outdoor gym – the possibilities are endless. Built in 1974, there is nothing outdated in the residence and from the moment you walk through the door, your jaw will drop. Every corner of the home has been refurbished to high standards and a sparkling kitchen and bathrooms are sure to excite the new owners. 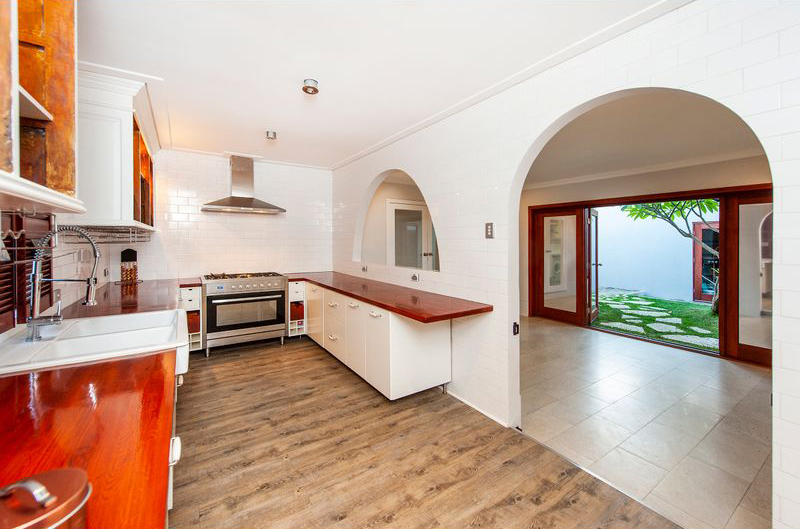 The kitchen is off the large sunken living room and has everything the home cook could possibly need, including polished timber benchtops, abundant storage space, timber shutters and Euromaid gas cooker. The king-size master suite is pure indulgence, with feature pendant lights, wall panelling, French doors, his and her closet and a luxe open ensuite. 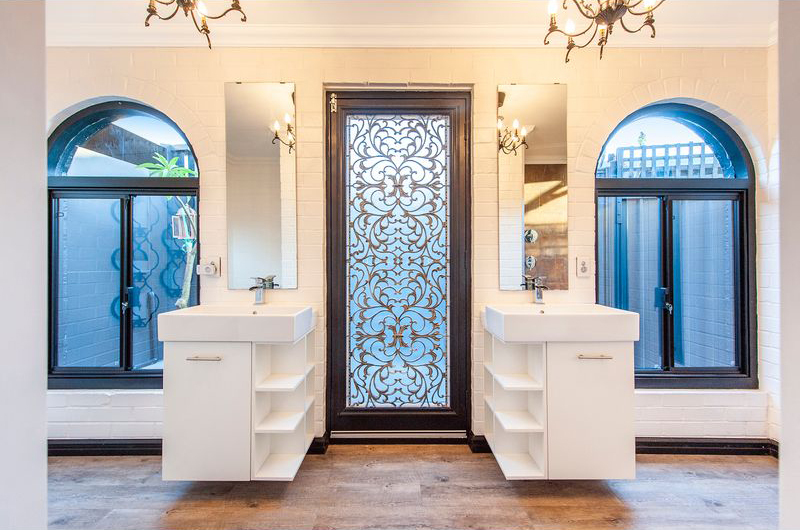 With a Roman bath tub, rain shower heads and a gorgeous outlook to a serene private courtyard, it exudes elegance. 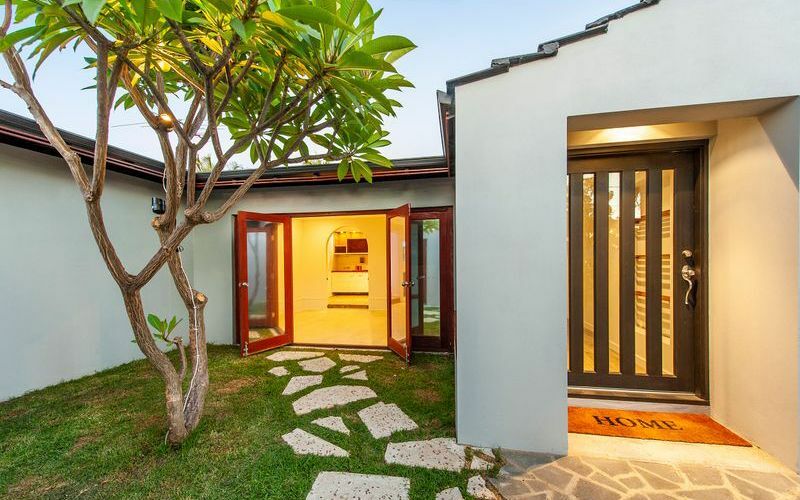 For those with children, the three minor bedrooms are sure to impress as will the kids’ retreat out the back with sand pit, basketball ring, built-in playground and shade sails. Less than 300m walk to Lynwood Senior High School, 700m walk to Parkwood Primary School and less than 2km to Riverton Shopping Centre, this home is perfect for a family with school-aged children. 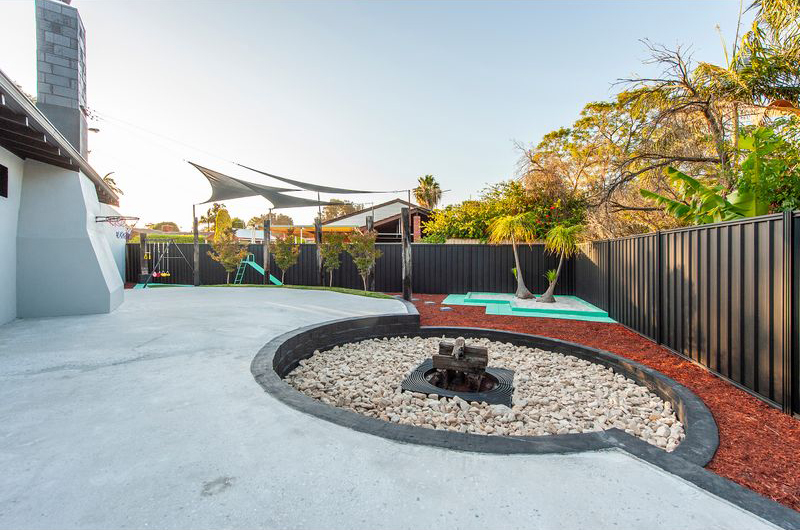 Other features include a fish tank with fish, reticulated gardens, sunken fire pit and gas hot water system. The 873sq m property has R20 zoning.